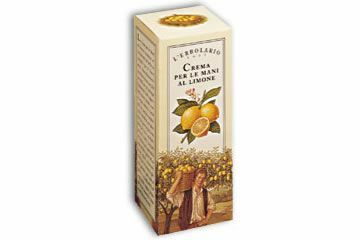 The Lemon Hand Cream represents a complete beauty treatment for the hands. Immediately absorbed, it forms an invisible film which protects them from external aggression, cold, wind, water, detergents and, thanks to its specific composition enriched with glycerine, in a short time leaves them younger and more attractive. The extract of lemon guarantees perfect cleanliness and lightens the skin colour. 4 thumbs up! Like the beloved Roger Ebert sad. Yes! For my hand this cream is a miracle.